Sharing files between devices is a basic function we all do for showing files to others or for simply for backing up those awesome images. If you just returned from a vacation and want to take backup of your photos to your computer rather quickly from your Windows Phone, JoikuShare is one application that will help you to share files between another Phone, desktop or a tablet in a hassle free manner. 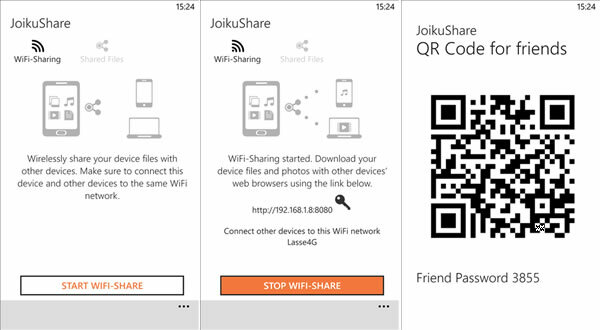 JoikuShare earlier available for Android is now released for Windows Phone 8 devices. The app retails for $0.99 on the appstore (no trail version) and it allows to share files between devices through Wi-Fi. For the app to work you need to connect your Windows Phone and other devices to the same Wi-Fi network. 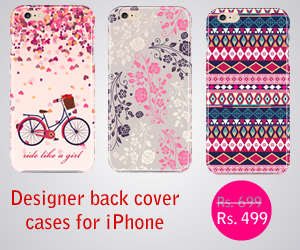 The shared files can be accessed on other devices through a web browser. You can also use QR codes to share files. Once connected to local Wi-Fi fire up the JoikuShare app and tap start Wi-Fi share to start the session. Select the files you want to share, using the URL displayed you can download files on other devices with a web browser.